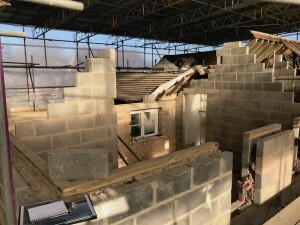 Stanley Partnership Architects visited their Clients home in Cheltenham, Gloucestershire and photographed the progress made by the Contractor (W & L Building Services). 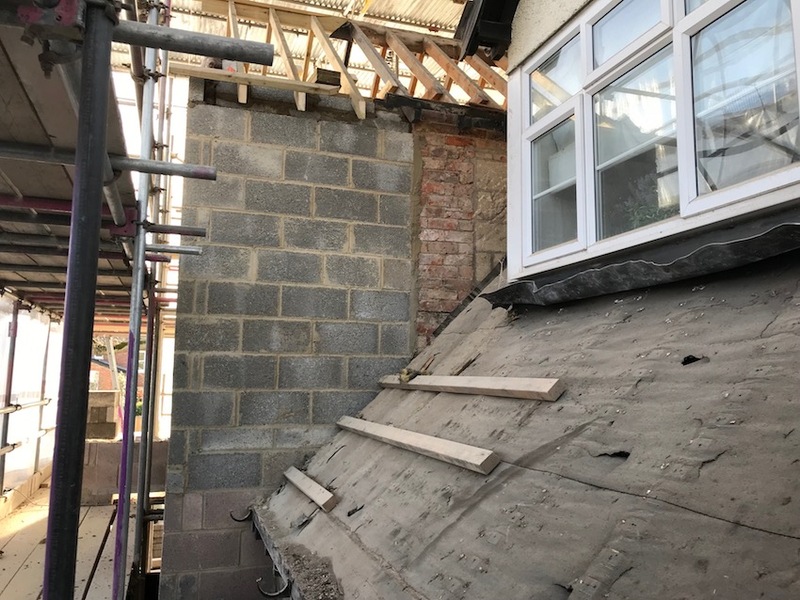 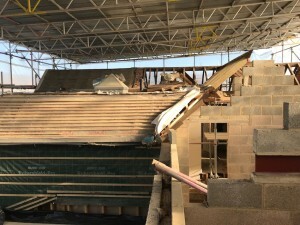 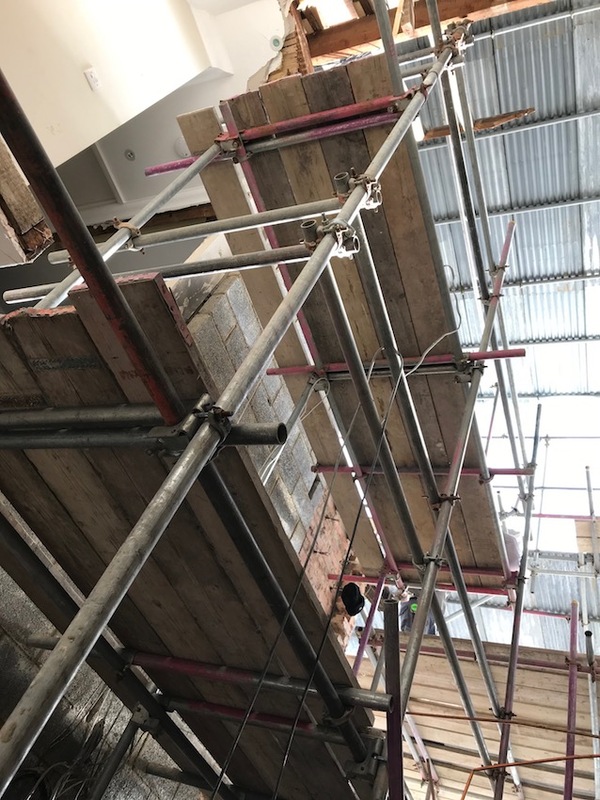 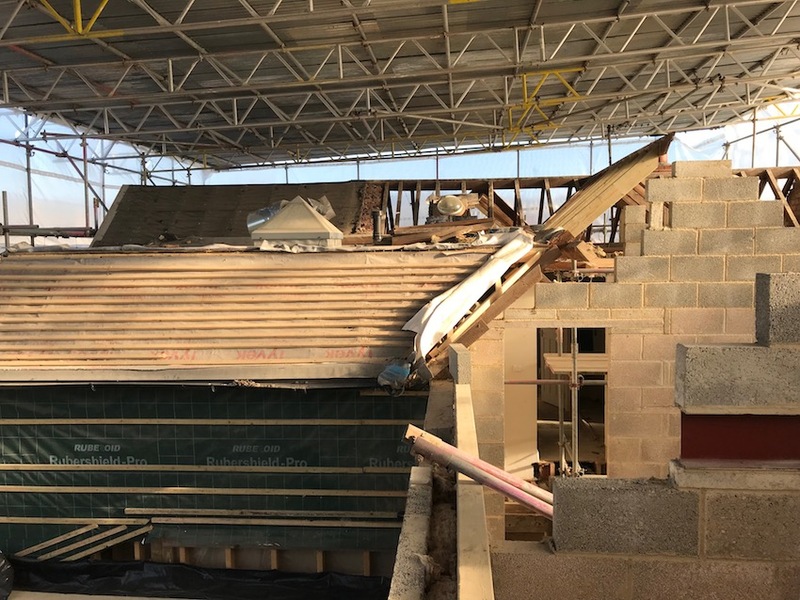 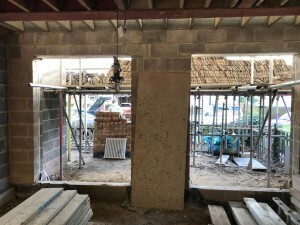 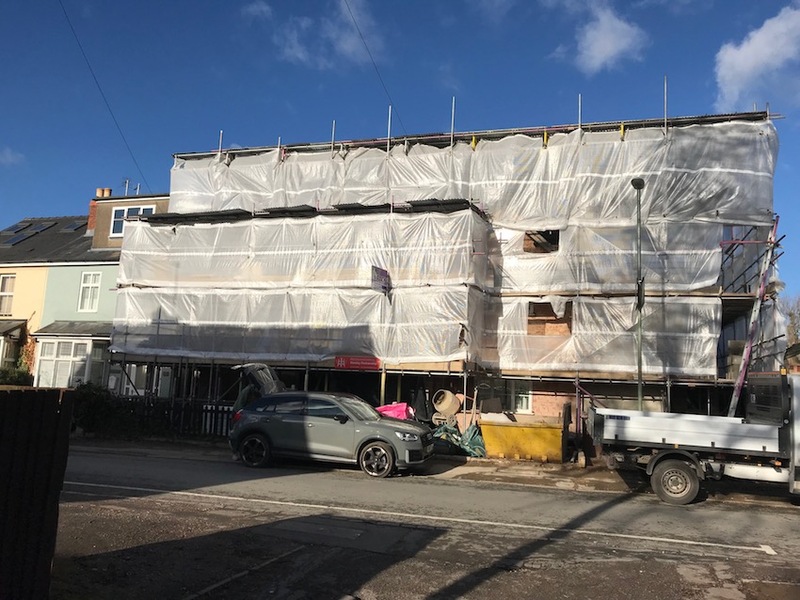 The scaffolding erected still envelopes the site whilst the contractor has stripped the entire roof and the remaining internal structure necessary. 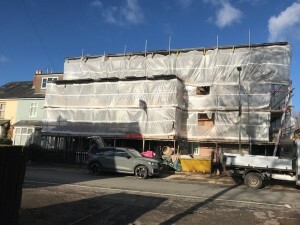 In the coming weeks the new roof structure will be built and battened and a new slate finish adorned, then the new render coat and windows.